In this paper, the authors describe how a study of a large database of written university teacher feedback in the department of Industrial Design led to the development of a new conceptual framework for feedback and the design of a new feedback tool. 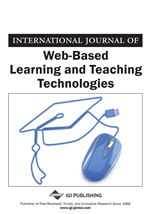 This paper focuses on the translation of related work in the area of feedback mechanisms for higher education into a tailored framework for feedback in the area of Industrial Design, the translation of the existing corpus of data into indicators of feedback quality and how feedback is received and further on used by students in their learning process. The newly developed tool structures teacher feedback into very targeted and highly focused feedback dialogues between teacher and individual students tailored to their individual learning process. The tool is described in this paper with respect to conversational aspects. In the future, the tool will be used actively in Industrial Design education, also with the purpose of further investigating how the quality of written feedback evolves and redesigning educational processes around feedback tools. Feedback is a crucial way to facilitate students’ development as independent learners (Black & William, 1998). Accordingly, students of the department of Industrial Design at the Eindhoven University of Technology (TU/e) frequently receive written feedback from their teachers, i.e., lecturers of Bachelor and Master learning activities. Despite the potential power of personal feedback (Perera, Lee, Win, Perera, & Wijesuriya, 2008; Hattie & Timperley, 2007), there are concerns regarding the perceived lack of impact of written feedback on practice (Perera et al., 2008) both from teachers and students. It is argued that written feedback is often unclear and deficient in quality (Ferguson, 2011), but also that feedback moments are not well aligned with the overall educational processes. In the department of Industrial Design (ID), teachers and educational policy makers recognize the above concerns. Students are satisfied with the frequency of written feedback provided to them, however they are less satisfied with the quality of the feedback provided. During a recent visit, an education accreditation committee found the written feedback to be too heterogeneous and diverse between and within students. Regarding the written feedback quality and form, it can be characterized by, for example, (1) confusing and unclear focus of feedback, and (2) not enough informative feedback that is personally specific and not general. As two additional points of critique, written feedback comes often too late, and it is perceived as assessing the students’ performance, not as feedback aimed at improving learning. Thus, it is likely that feedback provided by lecturers and assignors is less powerful than intended, which clearly limits students in their possibilities for learning and developing their skills, attitude and knowledge (Black & William, 1998). What was intended as a lively feedback process, a dialogue between teacher and student, had, for structural, technical and also administrative reasons been reduced to a rather meager one-way process. Therefore, lecturers and assignors can strongly benefit from knowledge and insights on how they and others write feedback, how feedback inter-subjectively compares, and how students receive the feedback. Finally, growing educational institutions with established, fine-tuned feedback processes might experience “growing pains” when scaling up the number of enrolled students: feedback is increasingly delayed, scarce, forgotten, or even erroneous as the load on teaching staff grows. This project was partly motivated by anticipating this problem and seeking solutions that would balance quality of feedback and efficiency.